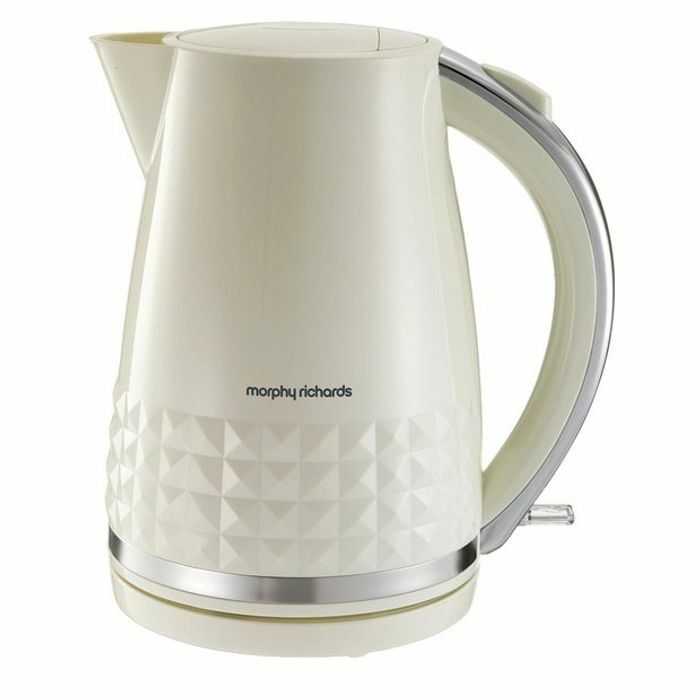 The Morphy Richards Dimensions jug kettle is a stylish, quality appliance complete with on-trend patterned plastic, stainless steel trim and a gloss finish. Features include illumination and easy view water window. The large 1.5L capacity combined with rapid boil element means you can quickly boil up to 6 cups. The removable limescale filter ensures a quality hot drink and the 360 base is ideal for both left and right handed users. 3kw element for rapid boil, easy view water window, lime scale filter & cord storage.